Dr.Malpani's Blog: Why do doctors order so many tests ? Doctors know that many of the tests they order frequently do not provide much useful practical information . The results of these tests do not affect either their diagnosis; their medical advise ; or the patient’s choice of treatment options. However, in spite of this, doctors continue to order these tests , even though this overtesting can be harmful. Tests can be quite expensive ; even worse , they may lead to overtreatment ; or sometimes the wrong treatment ! The results are often red herrings ; because when the test result is abnormal, the doctor needs to “treat” this abnormal test result, even though it has no connection with the patient's presenting complaint or his disease. Why do doctors do so much overtesting ? It's not that the doctors do these tests because they want to make money ; or because they get kickbacks from the pathology lab to whom they refer the patient ! The reasons are more complex. tests “,doctors do so . After all , if the doctor doesn't order tests , the patient may feel – What was the point of my spending the money on the consultation – the doctor didn't bother to do anything for me ! There is a lot of social and patient pressure on the doctor to order tests – he does not want to lose his patients to another doctor who is more willing to keep the patient happy by doing unnecessary tests . Second, ordering tests is what doctors are trained to do ! Doctors are taught that when a patient comes to you, you take a history ; do a clinical examination ; generate a differential diagnosis ; order tests; use the test results to find out what the right diagnosis is ; and start treatment based on this. While this particular simplistic model works extremely well in the textbook , it doesn't work well in real life at all . Patients often have multiple complaints, most of which don’t necessarily have a specific medical diagnosis . Of course, once doctors start practice, they realize this , and they learn that masterly inactivity is often the best course of action ; and that they don't need to do a lot of these tests . Unfortunately , it's not so easy to do this in real life, because it requires much more time to explain to patients why tests are not required . Time is one thing doctors are extremely short of , which is why it's much easier for them to just pick up a prescription pad and order the test , whether the patient needs it or not. Even though doctors know in their heart of hearts that the test doesn't help the patient, it helps them to manage their patient flow, because it helps to cut short the patient visit , so that they can then move on to seeing the next patient. Another problem is the flawed training which doctors receive. They are taught ordering tests will give them more information , so that when doctors are confused and are not sure what to do next , their first knee-jerk reflex action is – Let’s run some tests ; and see what the results are ! The test result may not provide the doctor with useful information , but while waiting to get the test result , the passage of time will often provide additional useful diagnostic information which the doctor can then intelligently use in order to come up with a sensible course of action ! 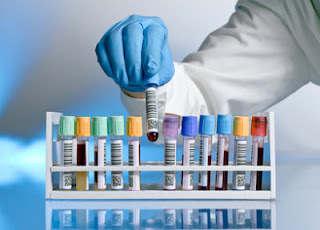 Ordering the tests can be a temporizing activity which allows the doctor to buy time – but this is true only if it is done intelligently ; and also when the doctor is mature enough to understand that just because one of the test results was abnormal , that doesn't mean that this is the cause of the problem ! The danger is that doctors start treating the test result, rather than treating the patient ! Finally , I think doctors do tests because they don't know any better and because they really have nothing else to offer . Rather than do nothing , which requires a lot of maturity and confidence , they order tests. The good news is that as doctors get more senior and more confident in their clinical skills and abilities, they are willing to tell the patient that they do not need any tests ! The better news is that patients are now getting more mature and intelligent ; and are understanding that tests are not necessarily good for them . They are no longer forcing the doctor to do unnecessary tests for them , because they understand that there are risks to overtesting ! The conservative doctor will attract mature patients , who understand that a doctor who's intelligent enough not to order tests is actually a very good doctor ! This can be the starting point for a win-win partnership , where both the doctor and the patient know the true value of tests – and understand when to run them - and equally importantly, when not to !